Pennsylvania Whiskey: I'm not dead yet. 1. Getting a new job. 2. Shoveling snow. LOTS of snow. 4. Buying whiskey and enjoying a shot each night of something new. 5. Making space for aforementioned Michter's stuff. The tours did not happen on Valentines Day due to snow and unsafe conditions. However, that gave me time to make contacts and get my hands on some colossal collections of Michter's items. Thanks to Mr. Mummert and his sister, Mrs. Foreman, I was able to secure over 50 decanters- most full with boxes for the collection. These decanters replaced empty ones in my collection which are being sold off. 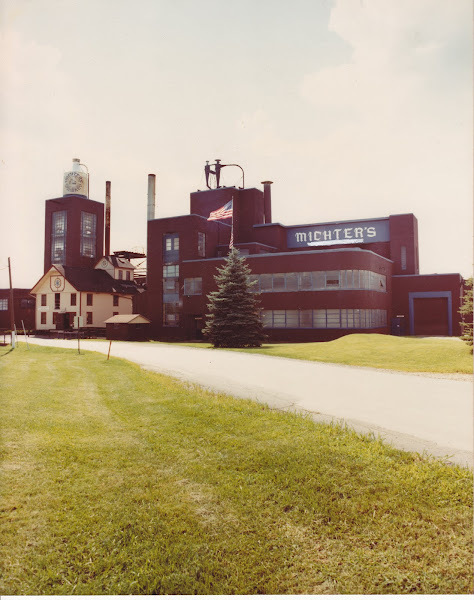 Mr. Mummert was a Michter's Collectors Society member and also provided me with a large amount of newsletters, mailings, advertising, and special event flyers. Several other individuals, EBay, and some local antiques dealers have also helped in securing rare pieces for my collection. I'm going to go out on a limb saying this, but as far as I can tell, I now have the most complete collection of Michter's memorabilia that exists. There are still several decanters out there that I do not have, but they are very rare (less than 500 made) and it may take some time to find them- if they even still exist today! For me, that standout was the Cabin Still. For being a 36 month old whiskey at 80 proof and only $8.50 a liter I was not expecting much. But I was amazed at how smooth it was. It presented itself as a more mature bourbon. 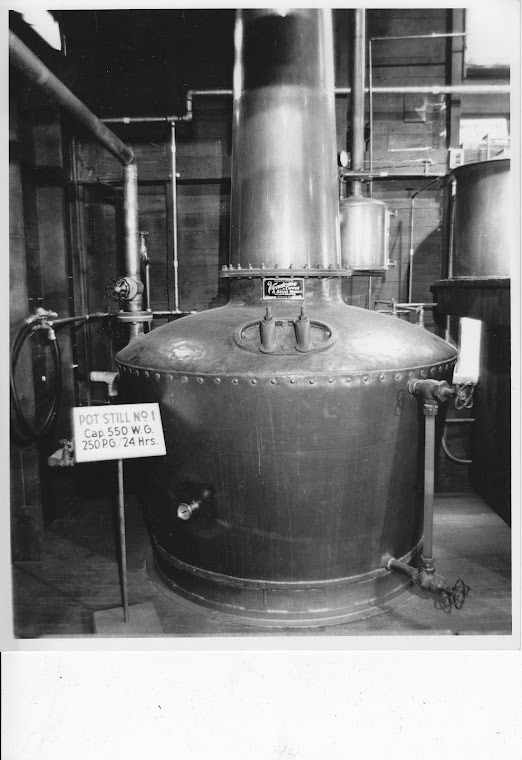 It certainly did not have the oakiness and deep flavor that older bourbons have, but it was not harsh and bitter like so many other young bourbons are. I was really amazed at the flavor and that it even had a slightly sweet, lingering finish. If this stuff was made at 100 proof and aged 4 years, I'll bet it would be absolutely amazing. Only downside- it's not available in PA! From my list above, only the Banker's Club Blended Whiskey is available in PA at $8.50 for a liter. This is actually my second choice from the list above. But being a blended whiskey, one should expect it to be smooth and not so harsh already. It met, but did not exceed my expectations. A very good, easily found, inexpensive whiskey. I still recommend it for tight budgets. It would mix great in soda as well. "What have I been doing? Here's a list for those of you that like organization:"
2. Well, now the snow's over (except for that final whammy that comes in mid-April and always surprises everyone). Meanwhile, all those drifted-over snow fields and hollows are now muddy swamps and small lakes. 3. Oh yes I do. Except that when I went into Obession Mode, I wasn't quite so brand-specific. 4. Yes, again. Often more than "a shot". And often more than one example. 5. I've been trying to do that for years. My best friend says he's waiting for me to install those sliding floor-to-ceiling shelves you see in libraries. He's crazy. (hey, you know anyone who's got a couple of those for sale? 6. I haven't seen you on BourbonEnthusiast, either, lately. And folks are asking me what's up with the Michter's gathering (as if I knew anything about it). So... What's up with the Michter's gathering? I still have my Holiday Inn Express reservations (paid for and good for a year), which I've moved up to April 24th because someone else did (you?). But I'd really MUCH rather have it be sometime between late May and mid-June. That's probably best for most folks and the weather should be right. John, I've had a lot of people asking what's up. And my honest answer is- I don't know yet. The owner of the property is in the hospital having major surgery and will not be home again until late April at this point. At that time, we will set up a date. Right now everything is sort of stalled. The owner's son has been tending to the place for the past month and is cleaning out the debris inside the buildings so tours this spring will be safer. Of course you will see a big announcement on straightbourbon and bourbonenthusiast when I know what's going on! A not-dead Ethan is my kind of Ethan. Are there any Michter's pieces in particular that you've been hunting? Glad we can get at least your second-best low-end whiskey here in PA, and at $8.50 a liter you know I'll be picking up some Banker's Club. The only other cheapie bang-for-your-buck whiskey that is sold here in PA is Old Grand-Dad 100 for $18.99 for a 750ML. I plan on grabbing a bottle of Heaven Hill white label in the near future too as I have a bottle of the gold foil Old Heaven Hill 100 from Maryland and it is excellent stuff for the price. I'm hoping the white label is decent stuff too. Heaven Hill has yet to let me down with one of their products. As for Michter's pieces, I'm getting down to the last few. I know I am missing about 10- most of which are RARE RARE RARE! I am still collecting though and I am not afraid to get duplicate decanters- especially if they are rare ones or full ones.